Skype is an application software that is used for voice and video calls between different devices. It is also used to send messages and files from one device to another. Today, millions of people use Skype for online communications. It is one of the most used application software on the internet. There are many reasons for this popularity which include its several cool features and simple user interface. The best thing about Skype is it is free to use. Skype has introduced a smart feature name instant messaging in it. But sometimes you want to delete Skype messages and don’t know how to do it. Don’t worry about that because we have a solution for it. Instead of calling your friends or family members, you can use the instant messaging feature. To use this feature, you will only have to select a contact and text it. When you will send the message, you will receive an instant response. In this way, you can text your contacts without any problems. Sometimes, mistakes occur, and you send a wrong text to your contact. In this situation, what would you do? Surely, you would like to delete that message from the chat. 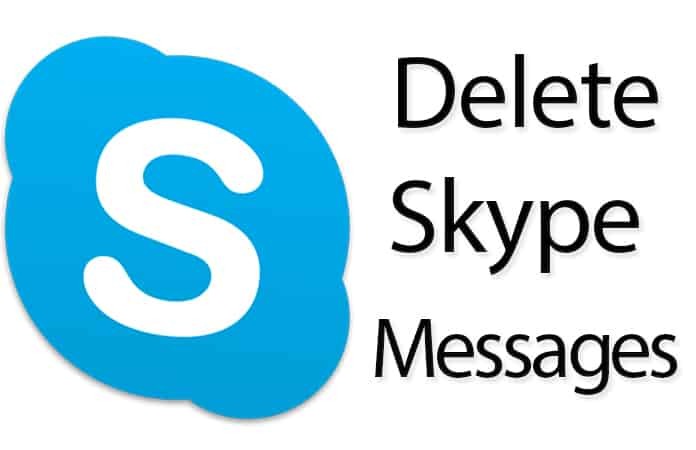 Fortunately, Skype provides you the feature of deleting the sent messages from the chat. 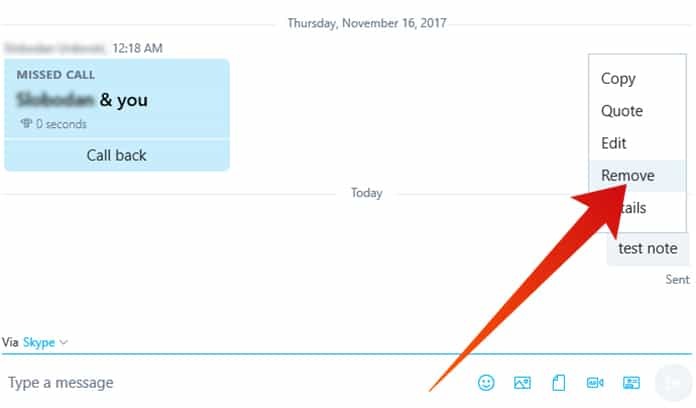 If you want to know how to delete messages on Skype, we will tell you today. The method is a bit different on all the different devices like Android, PC and Mac. Simply follow the step by step procedure mentioned below to delete instant messages. Here is how you can delete instant messages from your mobile device. On your Android phone, tap and hold the message you want to delete. Now click on the trash icon to delete the selected message. You can also delete multiple messages by following the same method. On your Apple phone, tap and hold the message you want to delete. Now select Remove option from the popup window. It will delete the message. The method of deleting instant messages from Skype is a bit different from the mobile phone. On your Mac, Ctrl-click the message and click on Remove Message button. On the Windows system, right- click on the message you want to delete and click on Remove Message. The method of deleting Skype instant messages from the web is same as deleting on PC. Directly right-click on the message and select Remove Message option. It will delete the selected message. 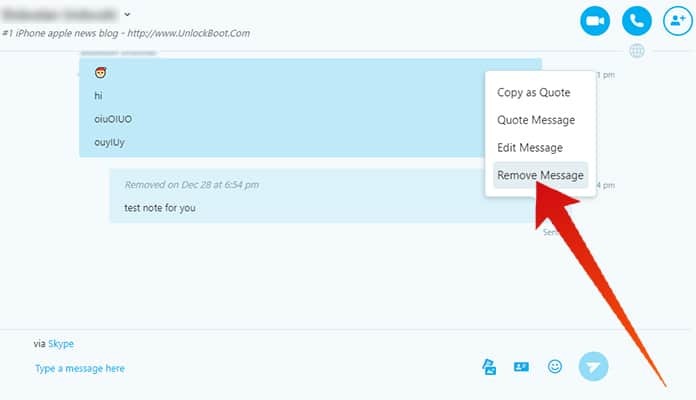 This is how you can delete the instant messages on Skype while using it on different devices. 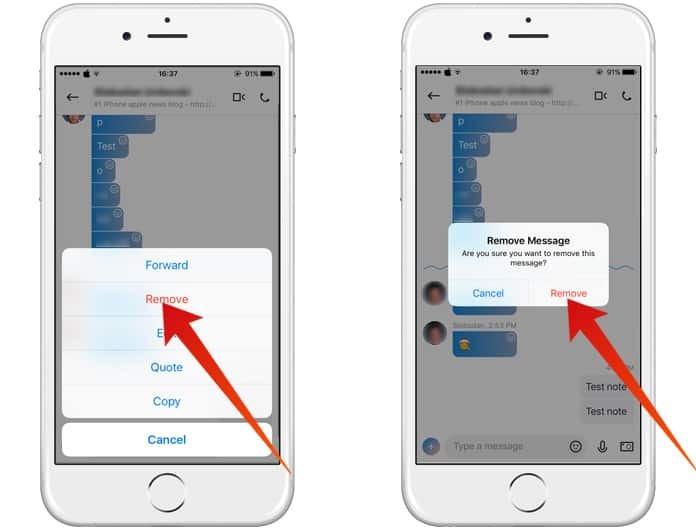 Now you know how to delete Skype messages on iPhone, Android, Windows 10, 8, or 7 PC and Mac. Please don’t forget to like, share and comment in the section below.